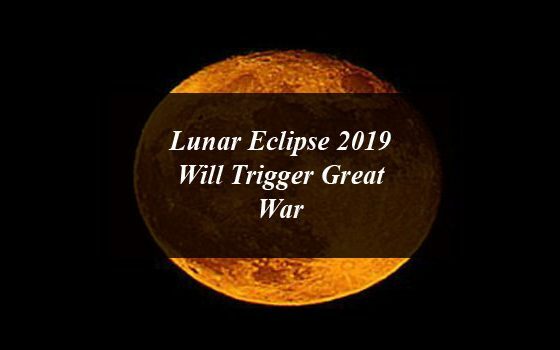 21st January 2019 Lunar Eclipse will trigger Great War in Middle East and Israel will be the winner. As you already know that a total lunar eclipse that will take place on 21st January, 2019. 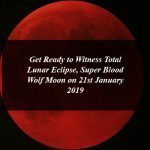 Lunar Eclipse, Super Blood Wolf Moon to occur on 20th January 2019 in many countries including, USA, UK, Africa and many European countries. On the 21st January there will be a total lunar eclipse and the skywatchers across the world will witness the longest total lunar eclipse which would also be a supermoon, super blood wolf moon. Space agency NASA has revealed that the Full Moon will spend a total of one hour and two minutes in Blood Moon totality, offering an incredibly mesmerizing light show. On the other hand a number of prophesies are being linked with this rare eclipse. According to an ancient biblical prophecy the super blood moon on 21st January will trigger a battle in the Middle East, whose winner will be Israel. This super blood moon eclipse will also falls on a key day in the Hebrew calendar, the Jewish holiday of Tu B’Shevat or the New Year for Trees. 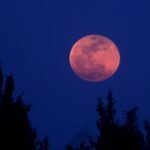 Pastor Mark Biltz, founder of El Shaddai Ministries, believes this means the Blood Moon fulfils two prophecies – one from the Book of Joel and one from the Book of Zechariah in the Old Testament. A number of prophesies are being made reading this rare eclipse, a Christian preacher, Mark Blitz has predicted a threat to this moon eclipse. Mark Blitz has been referring to the Torah, Zabur and Injil (Gospel) analysis and said that when this super wolf blood moon will fall the world will not come to an end, but it will trigger the war in the Middle East. The winner of this war will be Israel, who will announce the construction of the temple of Solomon. He also presented his predecessor in the context of the birth of the Trump and the formation of Israel. The birth of the Trump was 700 days and 15 minutes before the establishment of Israel. He said when the Trump took the oath, he was 70 years 7 months and 7 days old. The priest said that last year, moon eclipse was on the Middle East, whereas now it is going to be on the US, therefore there is clear possibilities of war. 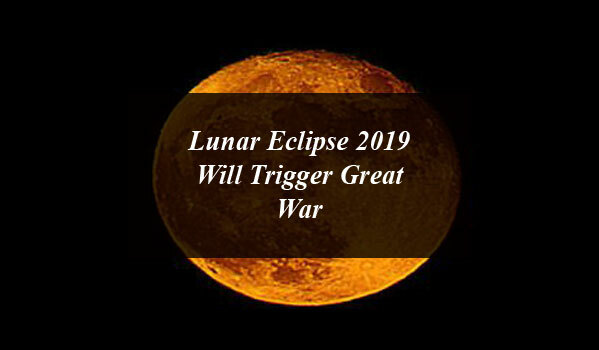 Lunar Eclipse 2019 Will Trigger Great War Whose Winner Will be Israel. 21st January 2019 Lunar Eclipse will trigger Great War in Middle East and Israel will be the winner.